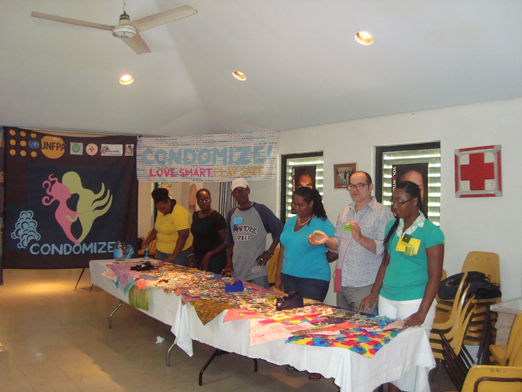 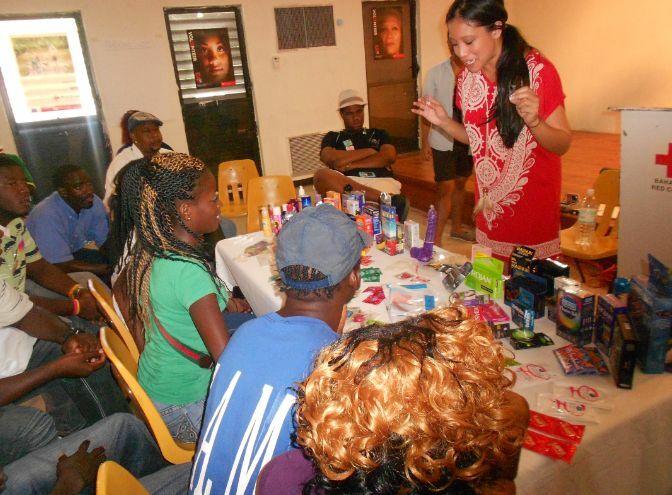 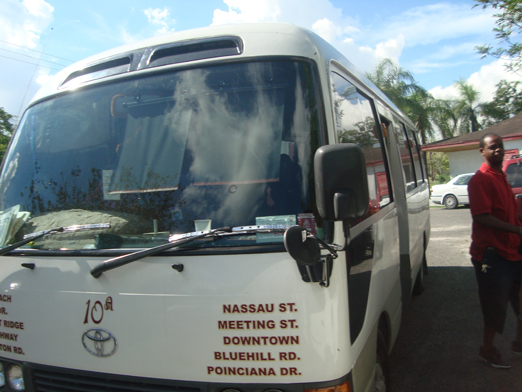 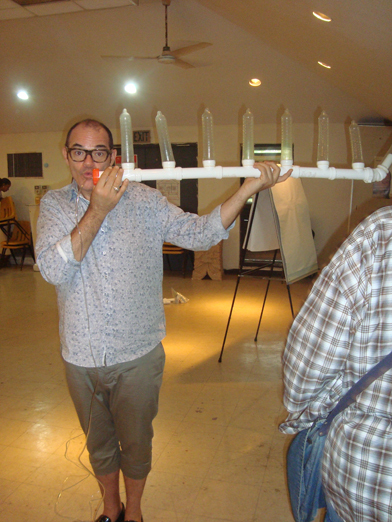 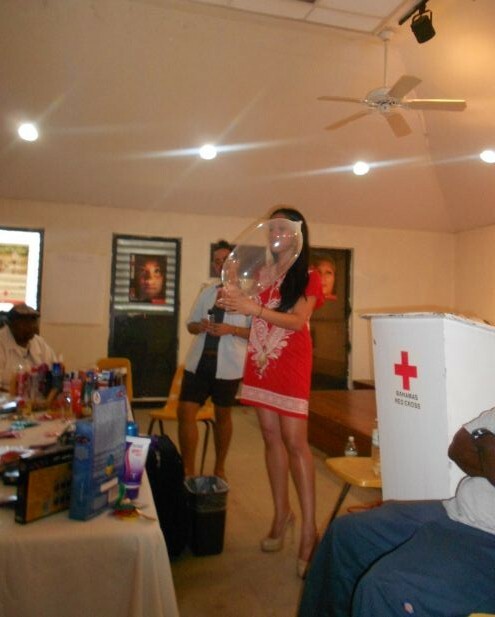 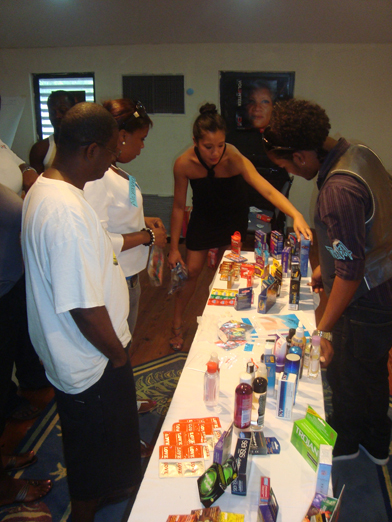 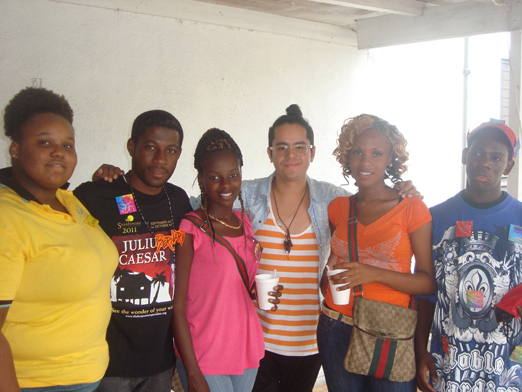 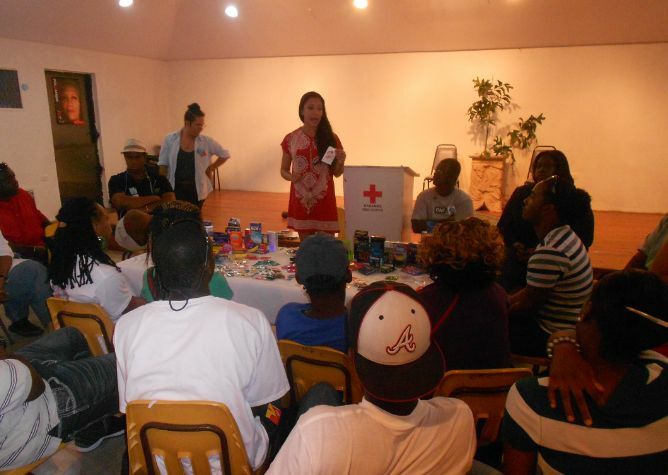 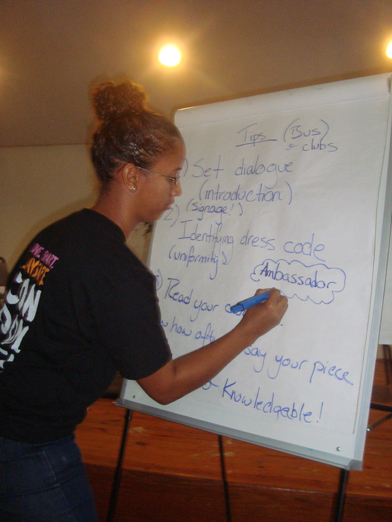 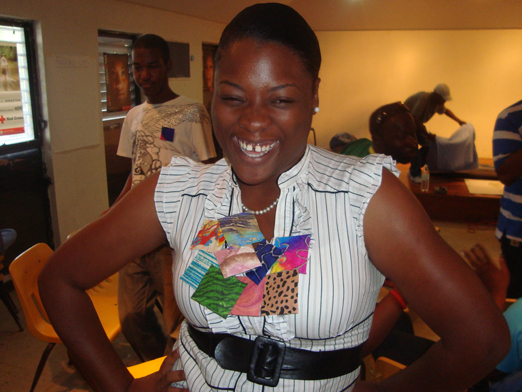 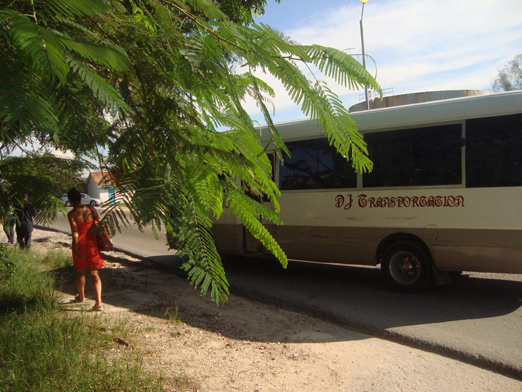 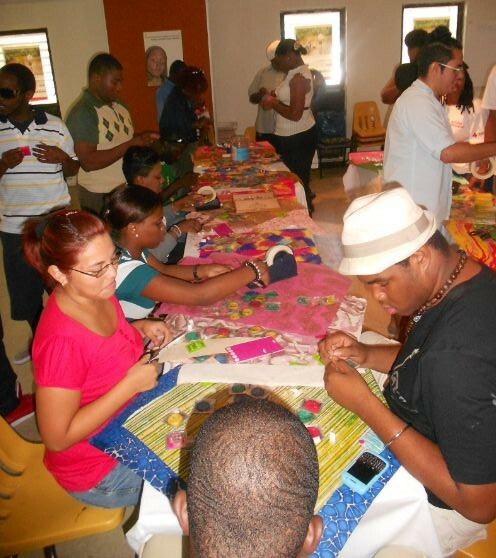 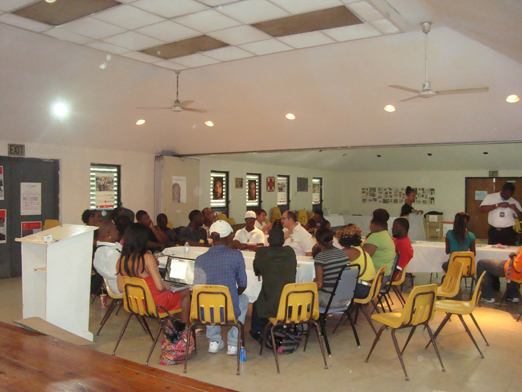 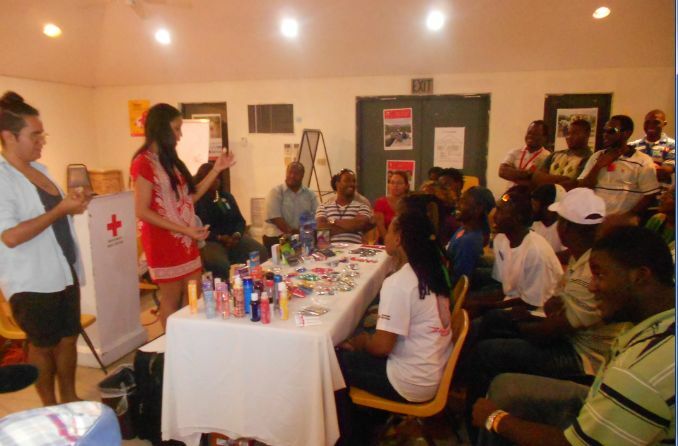 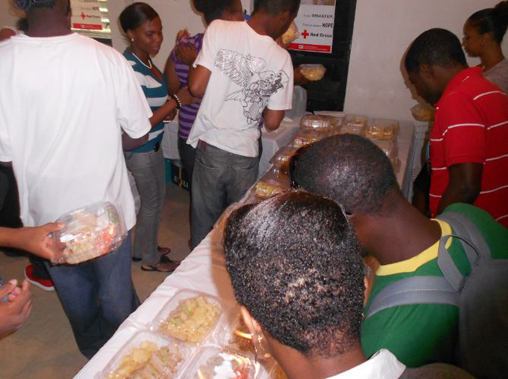 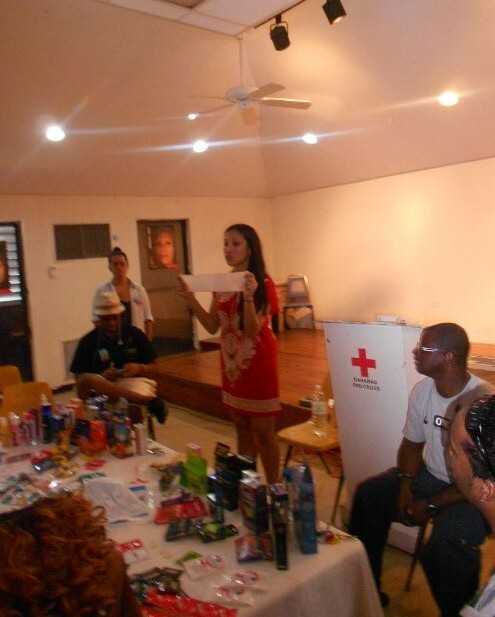 10 November 2011 in Caribbean, CONDOMIZE! 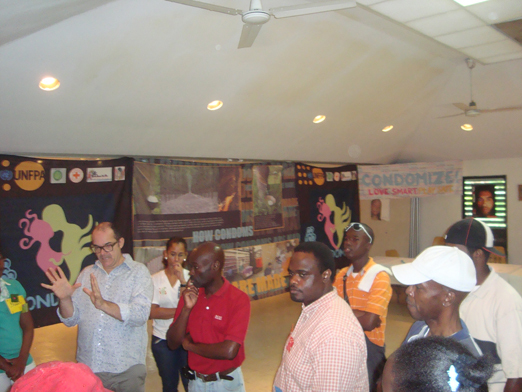 And we are thrilled to report that the amazing participants from Bahamas Red Cross, The Society Against STIs & HIV (SASH) Bahamas and The College of The Bahamas (COBUS) have done us proud 😀 They are going to be a wild success at the 2011 Caribbean HIV Conference, and The Condom Project will be sending all of our love and support to them while we are in Ethiopia this winter! 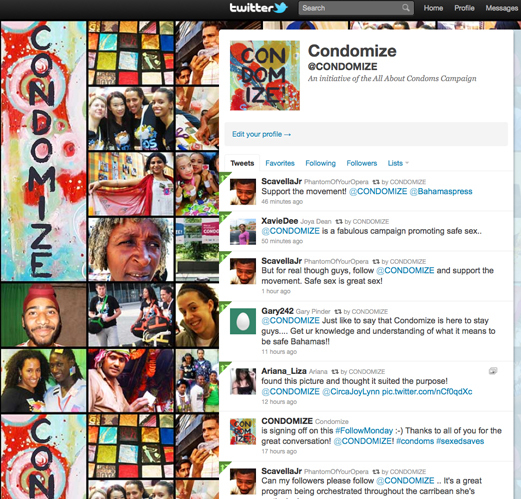 Mock set-up of the CONDOMIZE Zone! 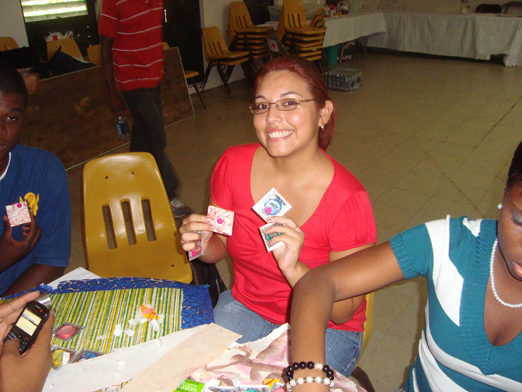 Welcome to the Condom Art Pin making table! 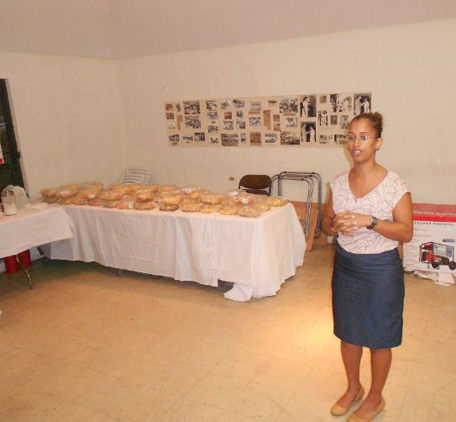 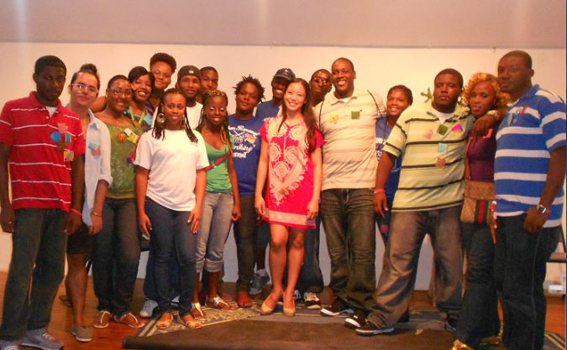 Me, with the Caribbean Presenting Educators (aka, the Bahamian versions of me)!